This fall my plate feels unusually full as my husband and I start a new ministry, and I juggle a new part-time tutoring job with writing. Last Tuesday I noticed my pulse racing and my muscles tensing in the struggle to get stuff done. After dinner when my husband sat down in the living room with a cup of tea, I ignored my own mantra to “Be present to people in front of you.” And I continued working doggedly at my laptop. Not the kind of wife I want to be. It’s easy to run out of energy and fall into survival mode, where all we can handle is the minimum to get by. In our work. Around the house. In our relationships with the people we love most. Even in our relationship with God. Busy schedules can choke abundant life out of our souls, but we have an open invitation to #renewal. Going on a five-minute walk alone to be with our Savior. Turning on worship music in the car while we navigate traffic. Taking a minute to turn our hearts towards Him in prayer in the middle of a messy day. 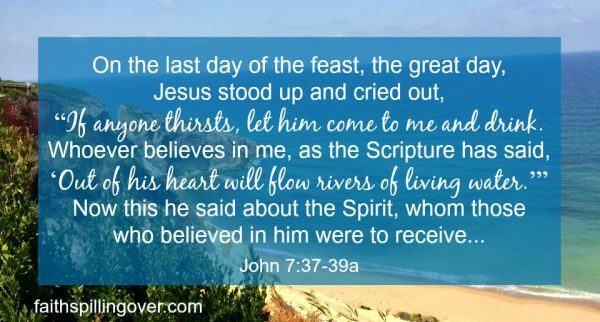 Not only does Jesus say, “Come and drink, He also gives a promise about the Holy Spirit: “Out of his heart will flow rivers of living water.” What if we intentionally open our hearts to the work of the Holy Spirit? The passage doesn’t say this directly, but did you notice that Jesus quotes the Scriptures to encourage His listeners? The hope and encouragement the Scriptures bring can move us out of survival mode and into abundant life. Even mini-bites of truth can feed our faith. Encouragement from the Scriptures can help us move out of #survival mode and into abundant life. How about trying it again for one week? 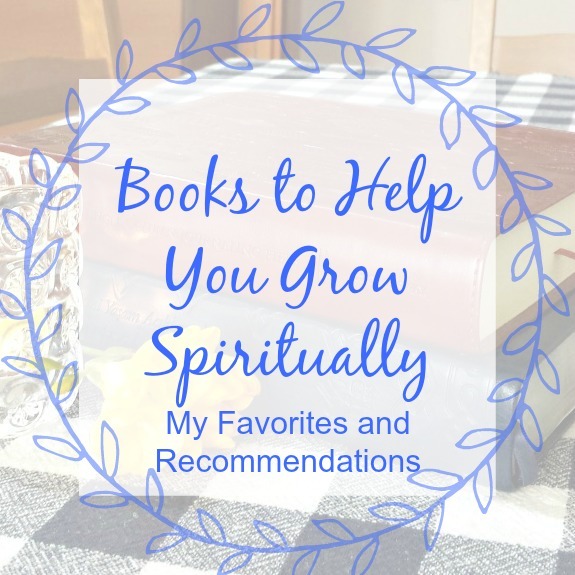 Starting with a short book like Philippians, take the baby step of sitting down for five minutes each morning to read a few verses of Scripture. How about changing things up a bit? 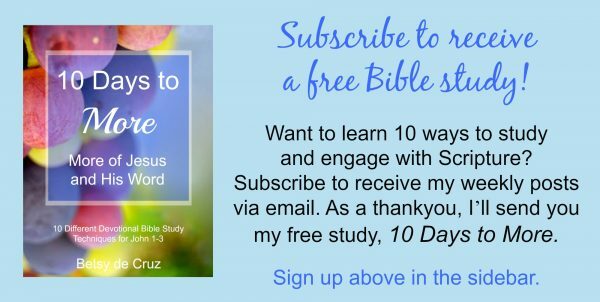 If you subscribe to my blog, I’ll send you a free resource, 10 Days to More. 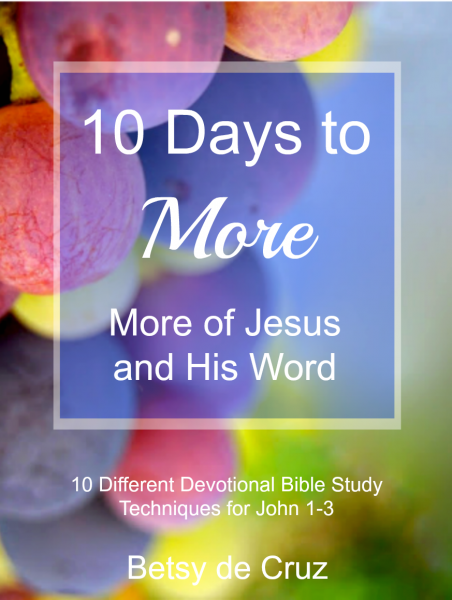 In just 10 days, you’ll discover more of Jesus and His Word as you read your way through John 1-3, trying a different devotional Bible study technique each day. These short studies will help you find new ways to feed your faith with the Scripture. 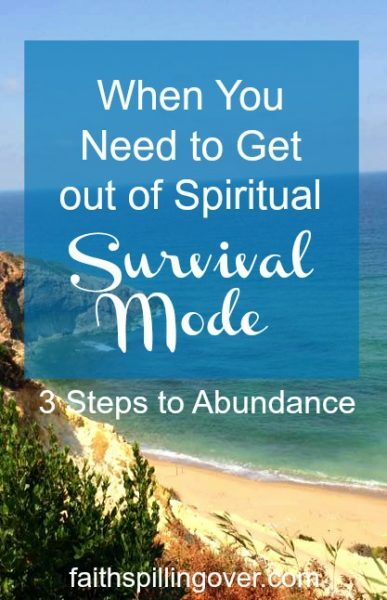 We don’t have to stay stuck in survival mode. Small steps can open the door to #renewal. 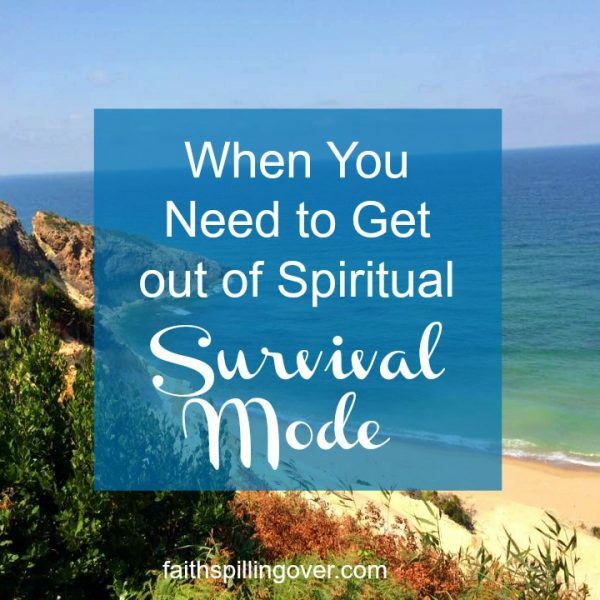 When we’re feeling overloaded and overwhelmed, we don’t have to stay stuck in survival mode. Even small steps towards Jesus can open the door to renewal. The only requirement is to be thirsty for more of Him. So how about taking a small step to draw near and drink today? Thank you for the words of wisdom, Betsy. I know the students you teach will be inspired by what you show them this year. I turn to God’s Word for instruction, enlightenment, and inspiration in those moments of overwhelm in writing my next book. I am learning to take the next step forward in faith. I will leave everything else in His more than capable hands. Always a joy for the opportunity to visit your site. May God continue to bless you and yours in the new ministry. It is definitely easy to become too busy and get stuck in survival mode. I love Jesus’ invitation that we can come to him and be refreshed! I’m right there with you, Betsy. I’m coming to Jesus sulking and all. Thanks for sharing these words of wisdom! Hey there Kelly! Yes, sometimes we need to show up, sulking and all! I appreciate your post, Betsy, because I can relate to that sense of survival mode. One point I especially like here is the one about Jesus using Scripture to encourage his listeners. I like that he modeled that for us. To me it showed how important it is to know what God has in mind for us by reading the Bible and getting to know his heart. Beautiful reminder, Betsy, that pausing to be with Jesus in the middle of the busiest of days has the power to refresh us. Thank you, Dolly. I love that Psalm 5, will have to read it again! Thanks for sharing it. Great reminders! It’s so easy for me to think that if I don’t have 30 minutes or more to pray it’s not effective. The few minutes here and there can be so beneficial. Thank you for this encouraging word! Glad if this helped you, Tim. Thanks for reading.